Solutions4Life is a lifestyle medicine consultancy operated by Registered Psychologist, Corporate Consultant and Fitness Professional Simon Matthews. Simon can provide you a unique psychological and physical fitness training service, by working with you to manage lifestyle factors. Simon can provide psychological advice and treatment, nutrition advice and meal plans as well as physical fitness and exercise programs tailored to your own goals. All services are designed uniquely for you. Simon will provide you with a flexible and personalized service that will help you be physically fit, mentally strong and feeling healthy and vital. Solutions4Life offers a range of services aimed at helping you to put more into life, squeeze more out of life and boost your psychological and physical well-being. We all know that our psychological and physical health need to be well maintained for us to meet the challenges that daily life dishes out. With a focus on functional fitness and well-being, Simon can help you identify your current strengths, current vulnerabilities and work with you to develop and implement a plan to develop psychologically and physically. A great life isn’t just about adding years – it means adding life to your years! 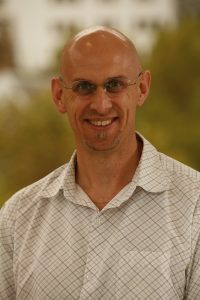 Simon is a Fellow of the Australasian Society of Lifestyle Medicine, a Registered Psychologist with the Psychology Board of Australia and a Member of the Australian Psychological Society, as well as being a fully qualified Personal Trainer and Nutritionist. He has over 25 years experience in consulting, treatment and assessment. He is sought after for his ability to help clients develop plans to build mental and physical strength, identify vulnerabilities and obstacles to growth. He works with his clients to develop healthy bodies and healthy minds and add life to their years. If you’re someone who struggles with setting realistic goals, motivating yourself for change, maintaining self-discipline, or getting the work/life balance right… reach out to see how Simon could help you. Everyone needs good physical and mental fitness! !